An attractive dental practice website leaves a lasting impression for your visitors. Even if your practice is local and you run by word of mouth, patients are likely looking for you on the web. 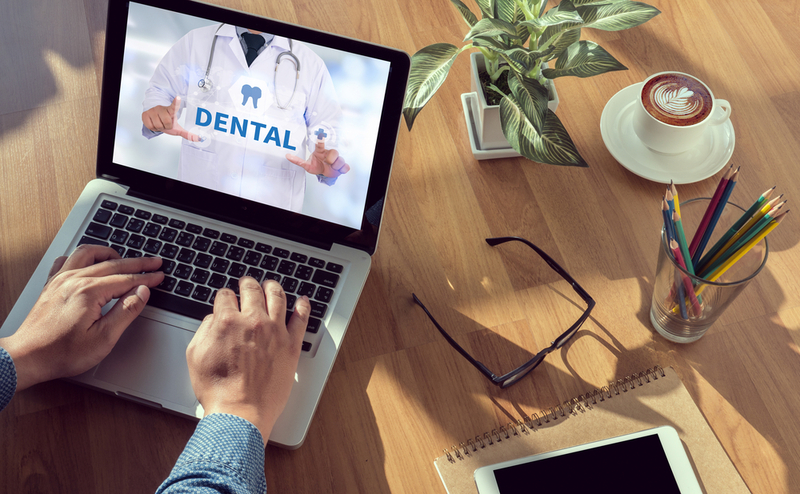 In this blog post, we will share five cost-effective ways to build a beautiful dental practice website. 1) WordPress – An open source platform that powers approximately 27% of websites. Through WordPress, there is access to hundreds of free themes (templates) to build your dental site. There are also hundreds of free plugins to enhance your site through social media sharing, contact forms, website optimization, videos, and more. Themeforest.net, for example, offers many premium WordPress themes that start around $20. 2) Wix.com – Provides “drag and drop” tools to easily create and customize your dental website. They offer a free plan that includes the “Wix” name in your web address along with their branded ads. Upgrading to premium plans removes Wix branded items and also provides you with more storage and features. The “Connect Domain” plan, however, keeps Wix branded ads and offers limited features. Currently, plans start at only $5 per month! 3) GoDaddy Website Builder – GoDaddy’s newest website builder, GoCentral, allows you to “build a better website in less than an hour.” GoCentral is a powerful, easy-to-use interface that includes “drag and drop” functionality. Want to test drive the builder for a free month? No problem. GoDaddy currently offers a free month with no credit card required. In addition, GoDaddy is a world-leading web host and domain name registrar. 4) Fiverr – Sellers provide freelance services to build a website…starting at only $5! Freelancers are from all over the globe and offer services to help you get your dental website up and running. Services offered at Fiverr are referred to as “gigs.” Many start at $5 per gig, but sellers now have an option to choose their own starting price point. 5) Shop Around for a Web Design Company – Take the initiative yourself and look for an affordable, reputable web design company. There are many web design companies out there who will work with your budget. Seek out a company by asking others, checking reviews, and researching on Google. Which method above piques your interest? Or, want to try more than one? Go for it! Just remember…it’s important to devote time to marketing, so work on developing your dental website efficiently. Have fun!